This attack does x 10 on all Pokemon except darkness type. 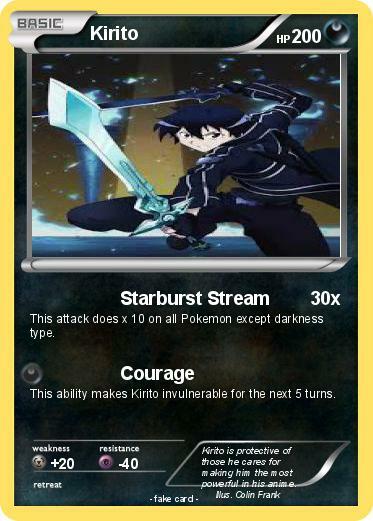 This ability makes Kirito invulnerable for the next 5 turns. Comments : Kirito is protective of those he cares for making him the most powerful in his anime.